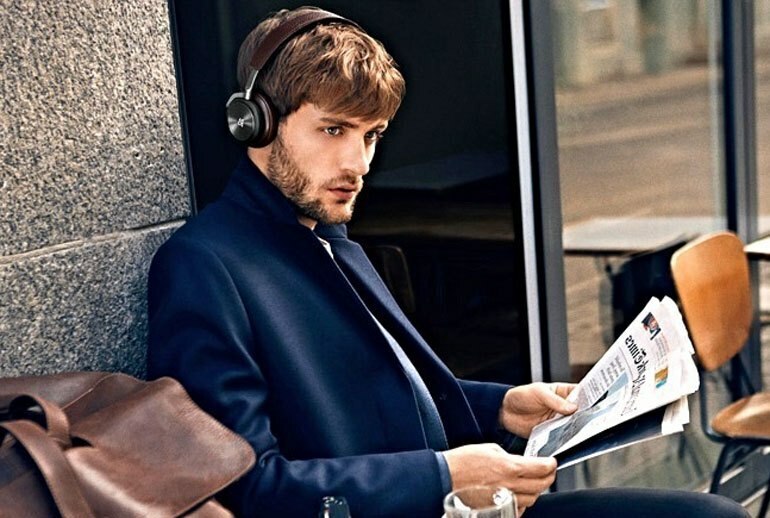 The BeoPlay H8 headphones feature an attractive, sturdy, and luxurious design. 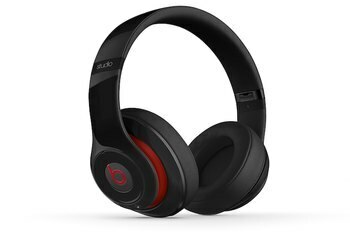 The sound quality is excellent, and the headphones include noise-cancellation technology. The headphones respond to touch controls, and are relatively light and comfortable to wear. 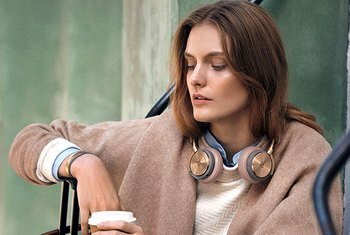 At nearly $500, the BeoPlay H8 headphones are pricey. Battery life is 14 hours when using Bluetooth, and charging takes three hours. Sound quality is sacrificed when using Bluetooth. 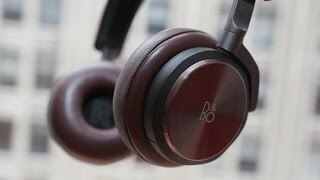 Bang & Olufsen’s BeoPlay H8 headphones are truly luxurious, something that’s apparent from both their $500 price tag and their sturdy leather and metal design. 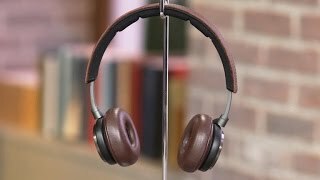 The on-ear earphones are made of memory foam, covered with sheepskin for comfort, and held together with a stylish leather headband. 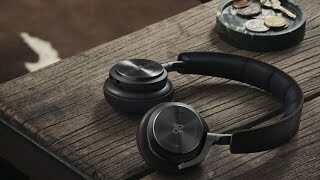 The BeoPlay H8 headphones boast a rechargeable, removable battery and support for Bluetooth and AptX, a technology designed to improve Bluetooth sound quality. 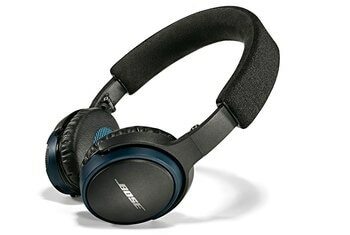 They also offer noise-canceling technology and excellent sound quality. All these high quality materials aren't just for show. The ear pads are very comfortable and piercing-friendly; the pressure they apply is just enough to hold them over the ear without pressing uncomfortably on all those cartilage-y bits. A stellar design by Jakob Wagner, with sound quality that I didn’t even know existed in this form-factor — the B&O is tough to beat in the on-ear category. In style, performance, high price, and even portability. All in all the BeoPlay H8 look great. It's no surprise to see them hanging around the necks of suited-and-booted Danes with fashionista stubble that most chaps could only dream of deploying on their faces. The Comfort is okay. 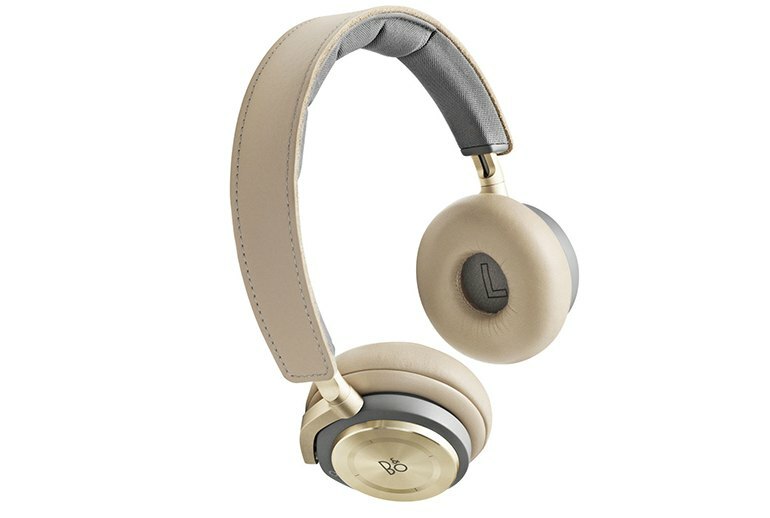 The earpads are smooth, the Bang & Olufsen BeoPlay H8 fit in your normal sized head is gentle. But after just a few hours you’re feeling the need to give your ears a rest from the pressure. 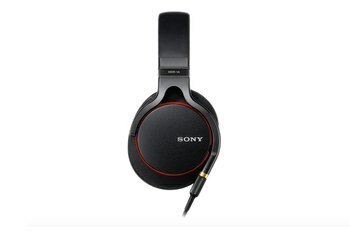 As for sound quality, this is an exciting headphone with lots of bass -- it definitely goes deep -- a fairly warm midrange and good clarity, though it's a touch hyped in the treble, which comes out more when you listen to this as a wired headphone. 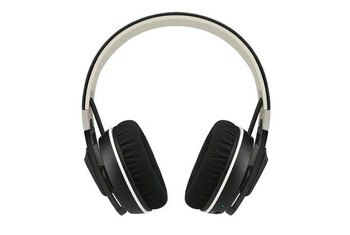 I felt like a million bucks wearing these $500 headphones around New York City, especially underground on the subway. There's something about knowing you've got really expensive headphones on that's uplifting, kinda like wearing a pricey Rolex or Omega. However, even with the big price tag, I've yet to find headphone audio that I like as much as what B&O offers on its high-end cans without having to tack on an amp or some other extra tech. We didn't have a single problem operating them, although we still feel in general that the idea of drawing gestures on the side of our head feels odd. Then again, so does wearing Microsoft HoloLens but give it five years and we'll probably be eating our words.